If you can't make all the sessions, but want to pay per session, it will be $25 per session per player. 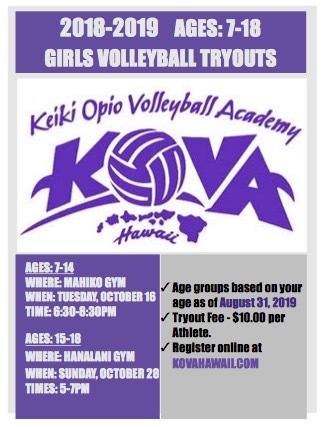 Tryouts for the younger teams will be Sunday October 29th 5-7pm at Hanalani School Gym. We’ve just posted our September Clinics for 2017. 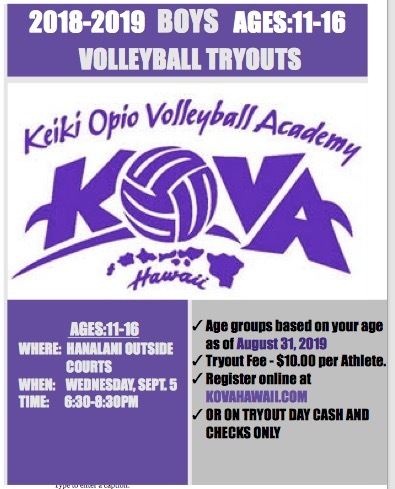 Please use the form below to register.